Booking.com is one of the most widely used travel websites with over 1.2 million properties and just as many bookings per day. Bed and Breakfast Niagara has partnered with Booking.com’s to bring to you bed and breakfast, wineries, food and other travel information related to the Niagara-on-the-Lake region in Ontario. It’s safe, easy and includes plenty of deals for anyone looking to book their next trip. If you’re looking to book a bed and breakfast for a romantic getaway or holiday into the beautiful Niagara-on-the-Lake wine country then the following list might give you some insight into the best B&B’s to book your next trip. However if you’re planning on booking at any of these Niagara-on-the-Lake bed and breakfasts then I suggest you book soon. As summer approaches reservations are nearly impossible to make as people from all over flock to what is considered “the prettiest town in Canada”. 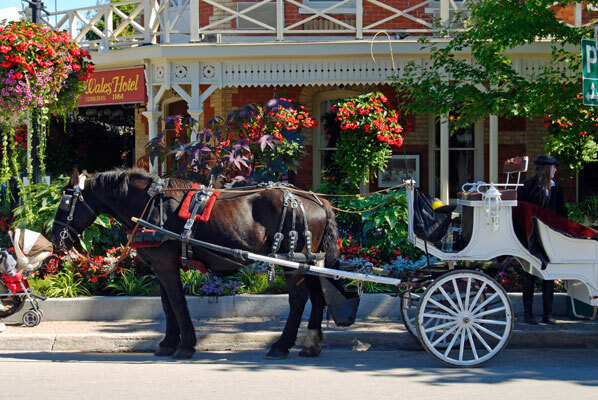 Niagara-on-the-Lake is a small Victorian town that is rich in history & art, wineries, restaurants, theatres and more. When visiting it’s a great idea to book at one of the bed and breakfasts which the town is well known for. 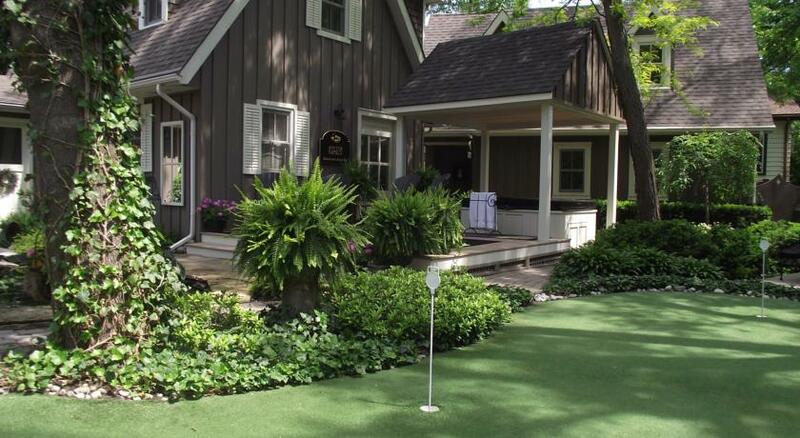 Check out B and B Niagara’s top 10 list of Bed and Breakfasts in Niagara-on-the-Lake below. 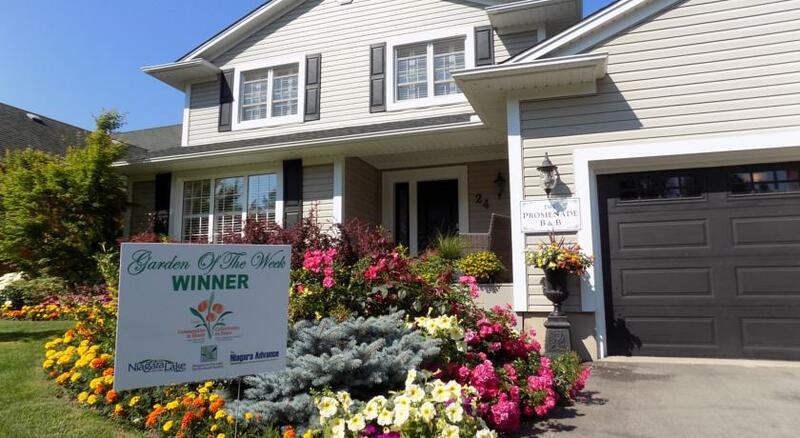 This is the only NOTL bed and breakfast that has a perfect rating. This beautifully restored home is decorated with antiques and has a rustic look that gives off it’s 19the century feel when it was first constructed. When staying at Historic Davy House B&B you’ll be treated to an upscale gourmet bed and breakfast which is beyond the norm. The rooms include custom duvet covers, fresh linens, ensuite bathrooms, fireplaces and more. 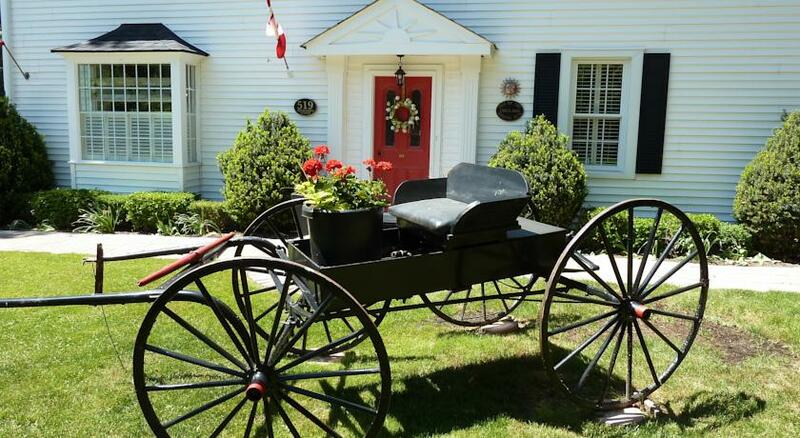 This NOTL bed and breakfast fills up pretty quickly during busy season so be sure to book your stay today! 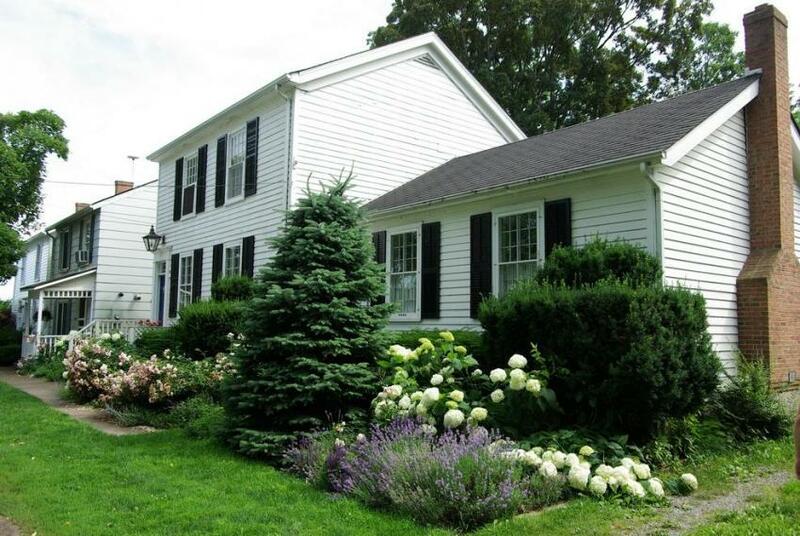 This charming bed and breakfast was originally built in the late 1700’s. It has been renovated and redecorated for guests to enjoy a comfortable and relaxing stay. Only minutes from the town where you’ll find the famous Shaw Festival Theatres and restaurants, access to biking/hiking trails connecting the many wineries. As usual you can expect a 3 course gourmet breakfast served at 9am. If you’re an early bird then you can also enjoy home-baked goods, tea or coffee at 7:30am. This large Georgian style home is situated on half an acre of “private” park which includes a gazebo. The residence is decorated beautifully with antiques and art. It’s only a short distance from the town where you’ll find restaurants and equally close bike trails and other local amenities. 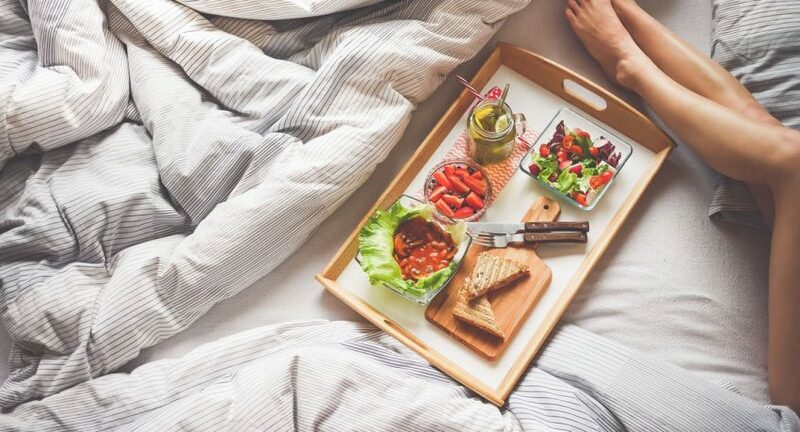 Unlike many other bed and breakfasts Abacot Hall offers flexible breakfast times and an extensive menu, courtesy bicycles, on-site parking, guest balcony and more. Rooms include cable TV and central air. 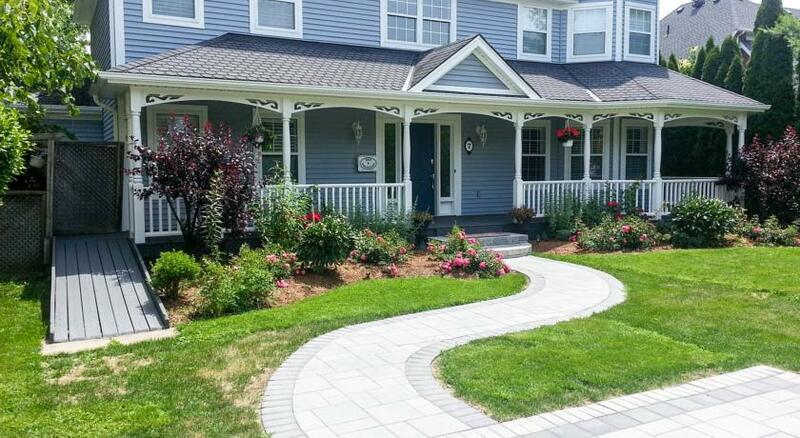 This bed and breakfast is a beautiful colonial home that was first built in the 1830’s. It has been long since restored from the ship carpenter who originally purchased it for his family. It still maintains it’s original old world charm. Dot’s Landing Garden Room is located only steps from the downtown core where you will find all the shops, restaurants and of course the award winning wineries. All rooms are luxuriously decorated for you to feel right at home. While staying in the Garden room you can enjoy a king size bed, WiFi, HD TV, a fireplace and a 4 piece bathroom. This B&B is located in a quiet location but not too far from Queen St where you’ll find dining, shows, shopping and the crowds. Guests staying at Bogart’s B&B can enjoy immediate access to the biking/hiking trails that can connect to you the many wineries in Niagara-on-the-Lake. Enjoy a full hot continental breakfast that can either be delivered to your bedroom your join the dining area which overlooks the garden. Rooms come equipped with a Keurig coffee maker an tea kettle, a fridge and more. A breakfast tray will be set outside your room which will consist of baked goods, savory items fresh fruit and yogurt. If the weather is nice then you can enjoy it outside on the veranda or fountain area. 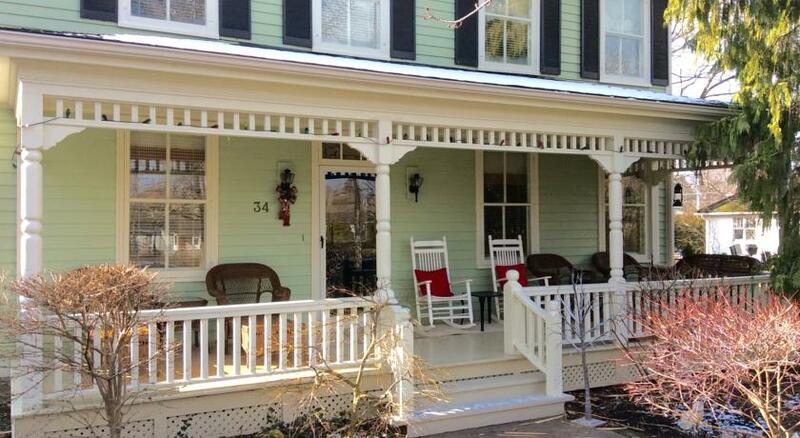 Stay in the historic old part of town in this beautiful home which was originally build in 1841. It has since been completely updated with a modern standards making it the perfect retreat for exploring Niagara on the Lake. Located just 1 block from the town where you’ll find restaurant, shops and more. Or just relax on the front porch and watch passing horse carriages and listen to the chimes of the famous Niagara clock tower. Enjoy a comfortable stay with a full hot breakfast in the morning in the guest dining room. This is yet another beautifully decorated home that is rich in history that was built in the 1800’s that has everything to make for a perfect stay while visiting Niagara-on-the-Lake. Guests at this B and B can enjoy a full hot breakfast, cozy acommodation that is only minutes fromt he town. Rooms are air conditioned and equipped with a flat screen TV, wireless internet, ceiling fans, full ensuite bath, toiletries and hairdryer. Book your stay the Rising Sun soon before the summer rush. This Niagara on the Lake B&B was originally built in 1839 and is considered a designated treasure. It has since been updated for guests to enjoy comfort and style in 2014. It includes comfortable common areas that are suitable for large or intimate gatherings and 8 bedrooms which each include their own amazing bathroom. Enjoy rest and relaxation in this spacious bed and breakfast. Speaking of breakfast, enjoy a delicious breakfast that is brought to your room that includes warm homemade oatmeal, fruit muffins, Canadian bacon, omelettes and more. 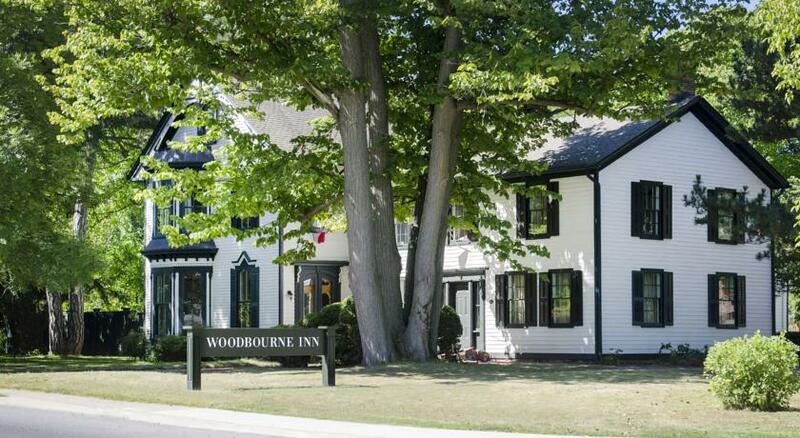 Woodbourne Inn is located only 10 minutes from the main town. Perfect for enjoying all the Niagara wineries, restaurants, theatre and hiking trails this beautiful town has to offer. This bed and breakfast is rated one of the best locations for many reasons including it’s fabulous accommodations. Each room is fitted with a flat screen TV, free WiFi, a coffee machine, a private bathroom, bathrobes and toiletries. 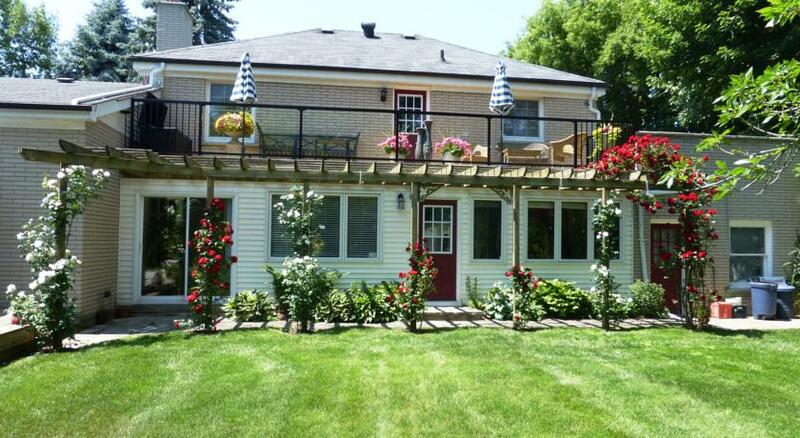 Truly a great place to relax as it’s situated in a quiet residential part of Old Town Niagara on the Lake. Only a 5 minute drive by car to the busy town, trails and wineries. Both en-suite bathrooms are located on the second floor. In the morning you can wake up to a complimentary breakfast which is served at 8:45am in the dining room which typically consists of cereal/muesli, fresh fruit or selection of yogurt, platter of cold cuts and cheese, croissants, toast and preserves with orange juice, coffee or tea. This highly rated bed and breakfast is proud to serve it’s visitors. Located right in the centre of wine country you can either find adventure or relax in a bath robe at Blue Skies B&B. 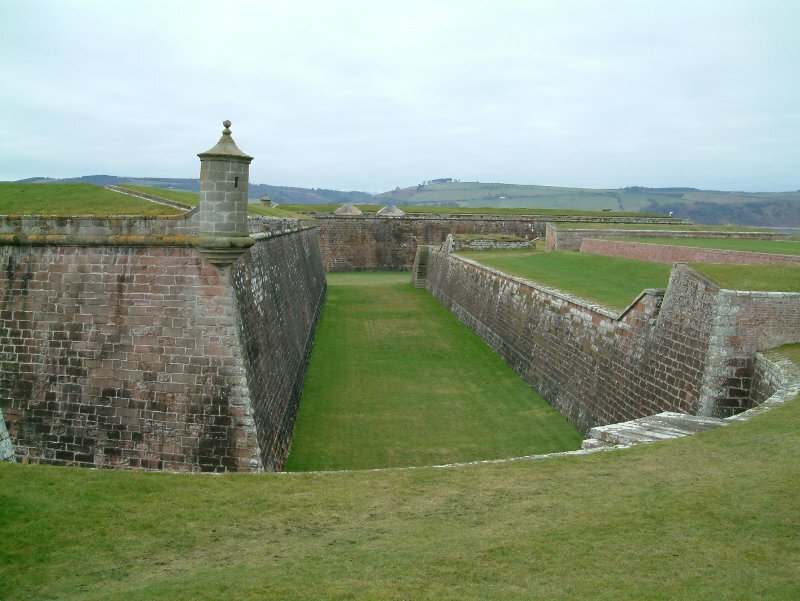 The property includes free WiFi and parking on site. Rooms include flat screen TV, bath and shower, bath robes and hair dryer. If you fancy visiting Niagara Falls it’s only 9.9 miles away. This is a perfect location for a romantic getaway as it is highly rated by couples. Book your getaway at Blue Skies B&B Today! The town of Niagara-on-the-Lake offers over a hundred bed and breakfasts for visitors to choose from. 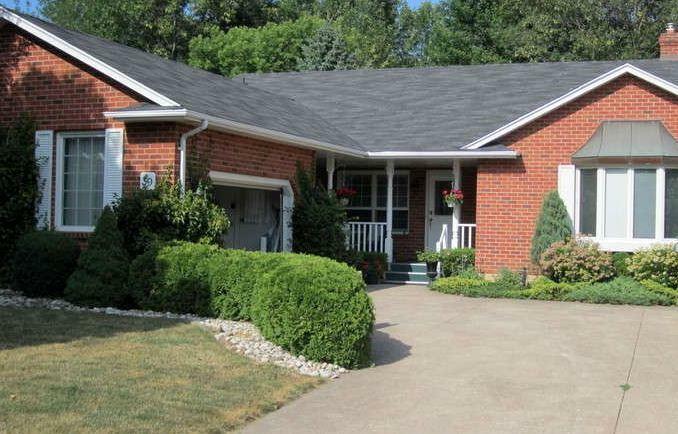 Whether you’re looking for a relaxing retreat or a romantic getaway B&B Niagara offers plenty of options. 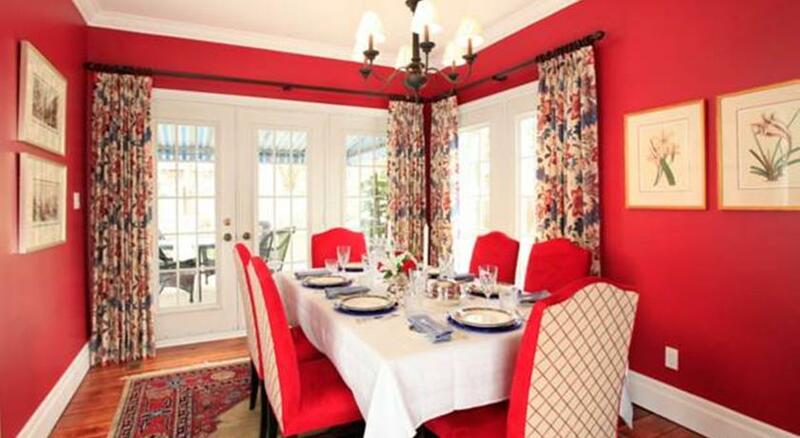 Many Bed and breakfasts are located near the town where you’ll find shops and restaurants. There are almost a hundred wineries located in the Niagara region which is what makes this tourist destination so popular. 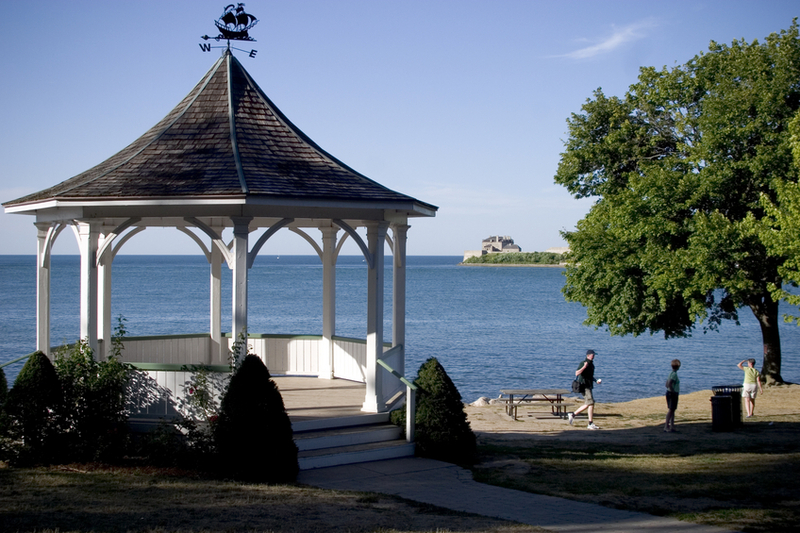 It’s no surprise that Niagara-on-the-Lake has been rated one of the top honeymoon destinations in the world. If you’re looking to book your accommodations then book early as bookings fill up fast as B&B’s typically have few rooms.